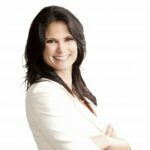 Hi, my name is Michelle Vaughan and I am a Realtor® with Royal Pacific Lions Gate Realty in West Vancouver. I grew up in West Van and currently reside on the North Shore with my family and two very cute mini dachshunds. I think our city is the most beautiful place on earth and I can’t imagine living anywhere else. I thoroughly enjoy working in Real Estate as it provides me with the opportunity to make a difference in peoples’ lives. I recognize that buying or selling a home involves some of the biggest decisions that many people will ever make and I am excited to be able to facilitate this process. My focus is always on your needs, whether I am actively marketing your property to potential buyers or aggressively negotiating the best deal on your behalf, and my goal is to make your experience as smooth and straightforward as possible.I specialize in the North Shore Real Estate Market and I have extensive knowledge of local neighborhoods and communities, acquired from years of personal and professional experience, which enables me to make sure that you have all the accurate and up-to-date information you need to make timely and quality decisions. I regularly attend seminars and courses to keep up to date with the changes occurring in the municipalities on the North Shore.When I am not selling houses I love to spend my time baking and cake decorating. This passion began when my first daughter was born and has stuck ever since. While I don’t have as much time as I would like these days to be in the kitchen, I still enjoy those moments when I can create something unique and delicious. Both my daughters are very active in sports and I love watching them play. We have enjoyed some great trips together – probably one of the most interesting being China in 2016. I was honoured to receive the “Rookie of the Year” (sold more than any other new Realtor for all of our Lower Mainland Offices) award for Prudential Sussex for my first year in Real Estate and even further excited to become a member of the Prudential Honour Society for reaching a top level of sales, Master Sales Award 2015 for being in the top 11-20% of the Lower Mainland, Platinum Award 2016 for being in the top 5% as well as being named a Royal Lepage Sussex Top Producer. However, it is the comments my previous clients have shared about their experiences working with me that have given me the most satisfaction. I am committed to providing you with an exceptional level of customer service and driven to exceed your expectations. You are invited to browse my website and call or e-mail me with any questions you have about buying or selling a home.